The cricket ball tampering incident was bad enough for the Aussies reputation. It has been pushed out of the headlines by The Royal Commission into Misconduct in the Banking, Superannuation and Financial Services Industry. Australian banks and insurance companies have provided A litany of revelations to the Royal Commission. The Australian Courier Mail editorialised on April 21, 2018 that these could at the very best be described as unconscionable, at the worst potentially bordering on criminality. An independent review of AMP, commissioned because of a request from the Australian Securities and Investment Commission, turned out to be anything but independent. The AMP board is reported as requesting and receiving significant amendments to the report prior to publication, obscuring important facts such as fee practices. The challenge is that New Zealands largest four registered banks ANZ, ASB, BNZ and Westpac, are subsidiaries of Australias four largest banks. AMP is one of New Zealands largest insurance companies. It is naive to believe that the New Zealand system is different without solid evidence. It is not enough to have the industry self-disclose. This after all, is what happened prior to the current Australian inquiry. Only through the process of independent scrutiny have we learnt what really is going on. The Australian Royal Commissions early findings provide a wakeup call to New Zealanders. We need to make sure that we have authenticated evidence that our New Zealand banking and financial services practices and operations, undertaken for the banks own customers, have been conducted with integrity and in the best interests of their customers. The best antidote for corruption is the existence of strong integrity systems within organisations. An integrity system refers to the features of the entitys structure that contribute to its transparency and accountability. In high integrity organisations, transparency and accountability starts at the top, led by good governance supported by management policy and practice. It is reflected in financial performance, information and communication, staff and other human resources behaviours, the treatment of customers, the operating environment, and the approach to monitoring and procurement. Transparency International New Zealands Financial Integrity System Assessment (FISA) aims to assess the strength and integrity of New Zealand financial organisations from a leadership position. Depending on the findings, the survey will help demonstrate independently and objectively the areas where our financial organisations are transparent and accountable. 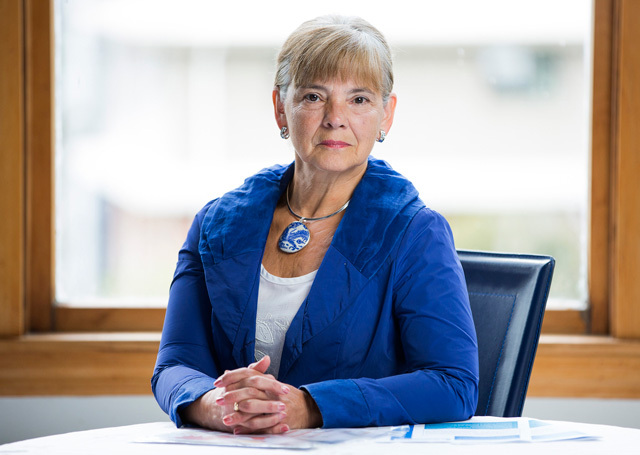 Suzanne Snively is Chairman of Transparency International New Zealand Inc based in Wellington. The above article appeared in the May 2018 Edition of Transparency Times.